Set against the backdrop of the Aravalli mountain ranges, Udaipur is a popular travel destination located in the Indian state, Rajasthan. It is also known as the 'city of lakes' owing to the beautiful lakes that one comes across while touring this region. The tourist places in Udaipur continue to fascinate travellers coming to Rajasthan from different parts of the globe every year. Many of the newly-weds also prefer visiting this city during their honeymoon, as it is considered among the most romantic places in the country. While visiting the fabulous attractions in the region, tourists can witness some amazing historical structures too. Among these structures are several palaces that were built by the Maharanas of Mewar. One of the most popular among them is 'Jag Niwas' also known as 'City Palace'. The construction of this grand palace began in the mid-sixteenth century and continued till the eighteenth century. Jagdish Temple is another major monument in this city, where one of the Mughal emperors, known as Shah Jahan, had taken refuge while revolting against his father, Emperor Jehangir. Travellers have many things to do in Udaipur during their vacationsuch as speed boating at Fateh Sagar Lake and shopping for some attractive items at Bada Bazaar. People visiting Udaipur during the festive occasions would get an opportunity to witness the colourful events and grand celebrations that prevail in this city around these times. 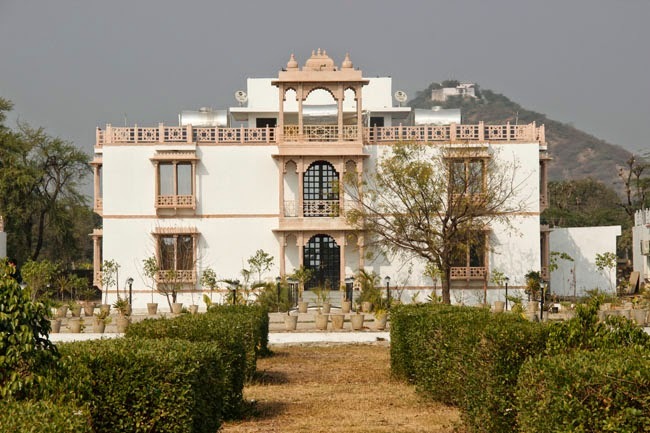 Booking an accommodation in Udaipur well in advance is absolutely necessary for the ones who wish to travel to this region during festivals such as the Shilpgram Crafts Fair and Mewar Festival. There are many elegant hotels and resorts in this city that offer well-furnished rooms and suites to the tourists. The modern facilities and excellent amenities provided in them make for a memorable stay for the guests. Udaipur has become an integral part of the itineraries of tourists visiting the Indian state, Rajasthan. This city is well-known among travellers for its beautiful lakes and the picturesque Aravali range of mountains. There are many exciting places to visit in Udaipur for tourists, including all the historical structures built by its past rulers. Over the years, a rapid increase in the number of tourists has resulted in several palaces being converted into luxury hotels and resorts. Some of the scenic locations in this city have also made it a preferred destination of many honeymooners. One of the Hindu warrior classes, called Rajputs, have played a major role in shaping the history of this region. Udaipur was established by Maharana Udai Singh II in mid-sixteenth century as the capital of Mewar kingdom. Despite the growing influence of Mughal empire during those times, Udaipur remained protected owing to its mountainous terrain. It became one of the princely states of India during the British rule. Many of the Udaipur tourist attractions are palaces that once belonged to its royal families. In addition to these palaces, there are other places worth visiting, such as, Dudh Talai, Fateh Sagar Lake, Gulab Bagh and Ahar Museum. Stays in this region are made pleasant with the availability of world-class accommodations for its tourists. The hotels and resorts in Udaipur provide elegantly designed rooms and suites, having all the modern facilities. People travelling to this city can choose a room or suite based on their needs and available budgets. Good-quality food is something that tourists always look for while booking their stays. Many of the popular resorts and hotels in this region have multi-cuisine restaurants in them, which serve delicious varieties of North Indian, Continental, South Indian and Chinese dishes. They also offer other amenities on demand, such as, taxi services and sight-seeing tours. Udaipur, a city in the Indian state, Rajasthan, attracts plenty of tourists from different parts of the globe every year owing to its historical importance and awe-inspiring architectural wonders. There are many places to visit in Udaipur for travellers, including some fabulous forts, palaces and lakes. While touring this exciting destination, travellers always come across the name 'Maharana Pratap'. He was a Hindu Rajput ruler who ruled the north-western region in south-central part of Rajasthan, called Mewar. Belonging to the Sisodiya clan of Rajputs, he possessed the qualities of chivalry and bravery. The eldest son of Maharana Udai Singh, Maharana Pratap was crowned as the king of Mewar in the sixteenth century. The mughal emperor Akbar wanted to have a peaceful alliance with him, but Maharana Pratap refused to accept Akbar as the overlord. This resulted in the famous battle of Haldighati, which forced him to escape to hilly areas of Aravallis. He continued his attacks against the Mughals by using guerrilla warfare and was successful in claiming back most of his lost territories. The bravery of Maharana Pratap and the battle of Haldighati still find a mention in Rajasthani folklore. 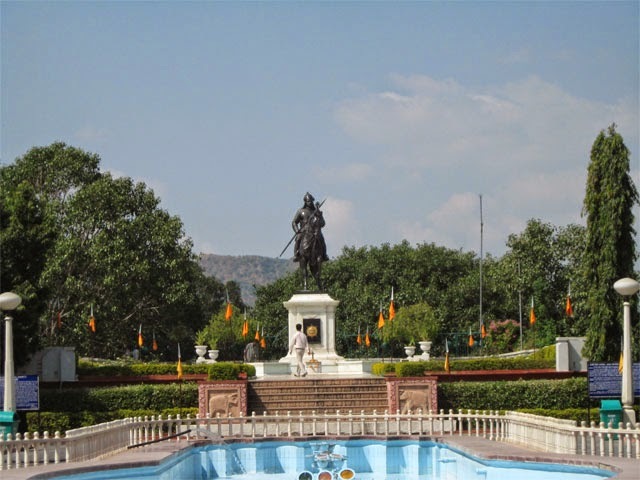 One of the most popular Udaipur tourist attractions is the Maharana Pratap Memorial located on top of Moti Magri, which overlooks the Fateh Sagar lake. 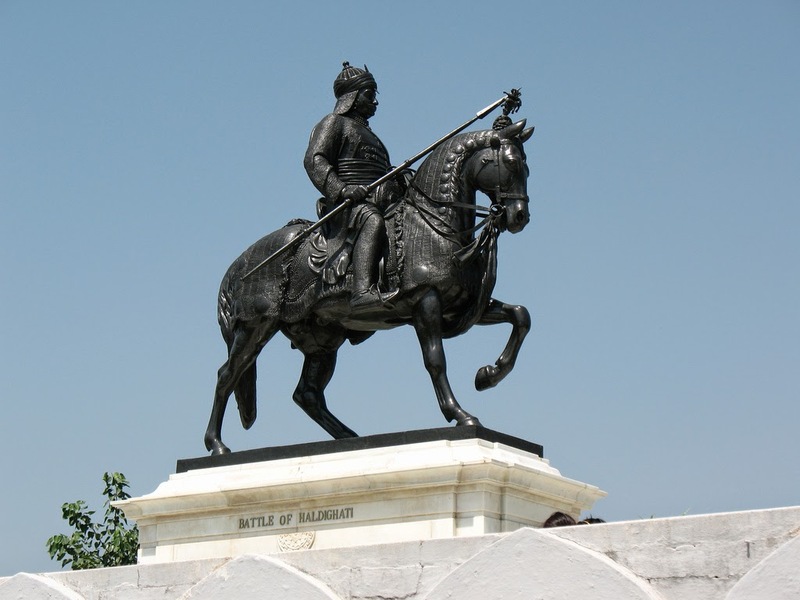 This fabulous bronze statue of Maharana Pratap and his loyal horse Chetak, attracts many visitors annually. Many of these visitors specially come to pay homage to the great ruler of Mewar. There are many other attractions in Udaipur that can be visited while on a pleasant vacation in this part of Rajasthan. 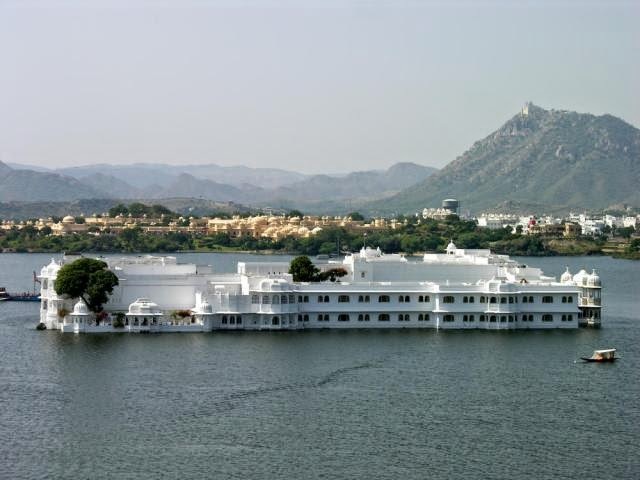 The hotels and resorts in Udaipur provide comfortable accommodations in the form of elegantly designed rooms and suites. They are provided with modern facilities that make the stay of the guests truly pleasant and memorable.